A whole new facelift was given to this newsletter which is now bigger and better! This newspaper size issue will be distributed in all households around Malta and Gozo, it features 3 recipes that anyone can try. Since Easter is on the way, we cannot, not include the traditional figolla recipe. We receive a lot of response from people during this time of year, so hope that you will find it handy. Another interesting recipe is the Quinoa Quiche. This recipe is a good way to introduce quinoa to your and your family’s diet. The third recipe is a seafood risotto, this recipe features one of the newest products on the market from Lamb Brand’s Rice Range. Another interesting recipe which one may try as an activity with kids, is the ‘no cook play dough.’ This recipe is ideal to do as a cooking activity with your kids. Play dough is a fun, clay like substance that provides hours of fun for your little ones. 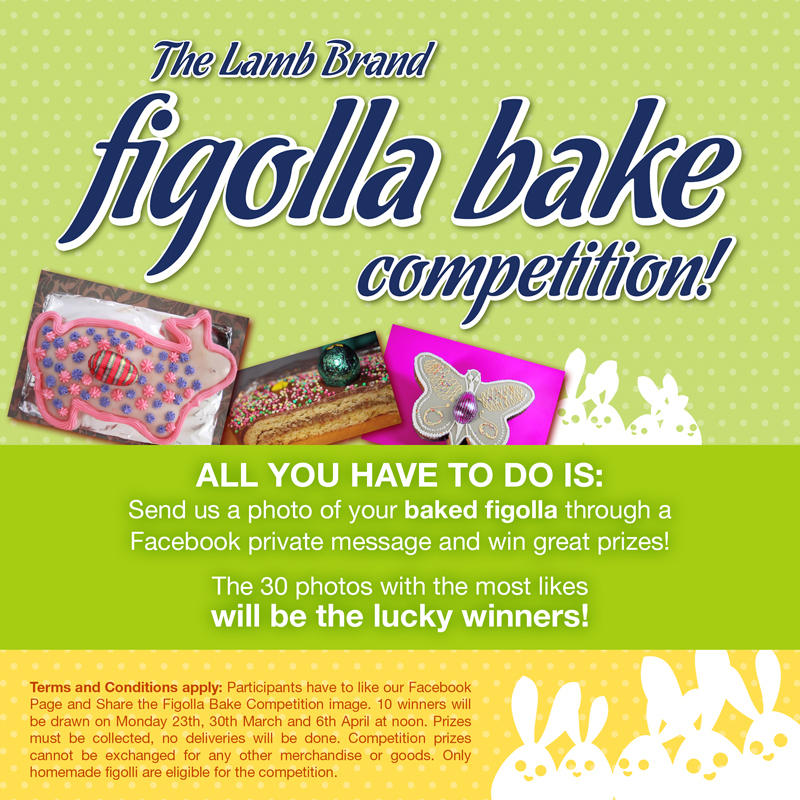 There are also 2 competitions going on; the Easter competition and the Lamb Brand Facebook Figolla Competition. Both competitions are very easy, all you have to do is to cut the right side from the competition section issued on the newsletter “toghma BNINA”, name two recipes found on any Lamb Brand Packet and enclose 3 Lamb Brand packets and send them by post to our office: Lamb Brand Easter Cooking, 30, New Street, Qormi. 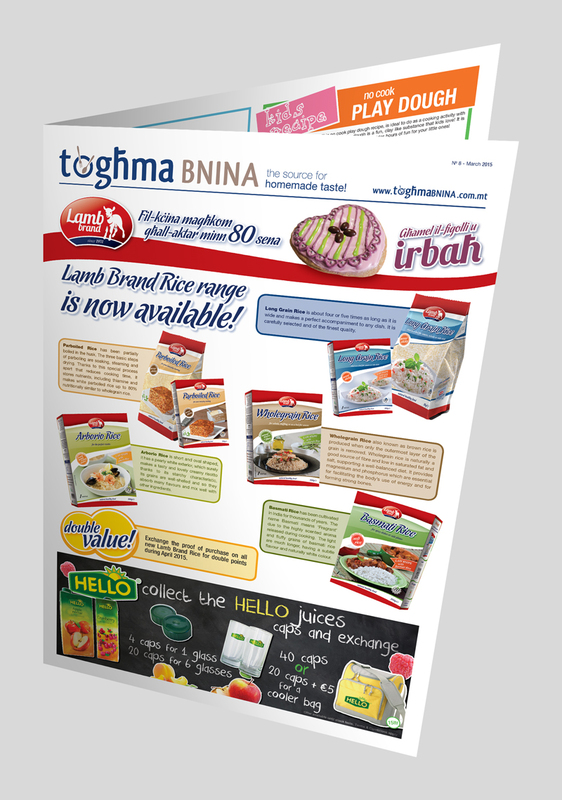 If you missed a copy of “toghma BNINA”, and would like to take part in this competition you can either download the newspaper from the attached pdf or simply like our Lamb Brand Facebook page and send us a message with three recipes that you can find on our products. The first name drawn will win a luxurious weekend break at Le Meridien St Julians Hotel and Spa on Bed and Breakfast basis, whilst the second name drawn will win a lovely eco wooden serving set from Bow and Ribbon. 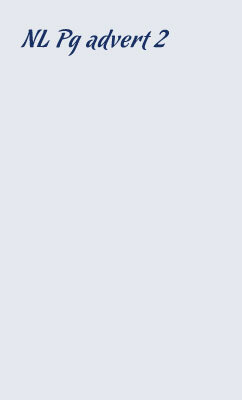 Be also part of our Facebook Competition. We are giving away great gifts for the best 30 figolli photos that are uploaded on our Facebook Page. The figolli with the most likes will be the winners. One may also find other interesting articles about rice, adverts regarding new gifts which are part of the Lamb Brand cook and exchange gifts scheme, Hello juices gifts amongst others. For competitions' Terms and Conditions, please click here.